Are you waiting for dual sim handset in Nokia? If you so, here is a great news for nokia lovers and dual sim users. Nokia announced it’s first Nokia dual sim handset at affordable price. These are built only with a intention to give dual sim facility in nokia handset. Nokia company may enter the dual sim market at late. But, they came up with stylish and less priced nokia dual sim handset to market. I’m sure, people will love these dual sim facility in nokia handset. Nokia launched 4 dual sim facility handset in C-Series. 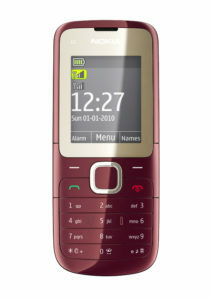 This handset contains basic features which you find in the basic handsets (low-priced) and as well as GPRS enabled set. Availability: Third quarter of 2010. The nokia c1-o1 is something different form nokia c1-00 with its modern features. The main thing which you find different is Colour screens, web browsing, a music player, Bluetooth, GPRS and email. According to company c1-01 is.. 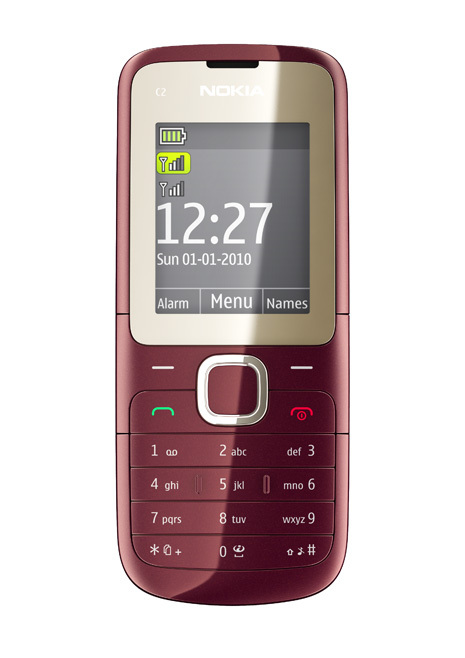 The C1-01 is a low-cost ‘feature’ phone with an estimated retail price of EUR 39. Nonetheless, it comes with a VGA camera, an SD memory card slot for up to 32 GB of storage, mail and chat. There’s also an FM radio and music player. Availability: Fourth quarter of 2010. It’s designed as anyone’s first phone and first access to the world of mobile and digital communications. Despite the price, beyond making phone calls, buyers once again get Ovi Mail and Chat, Bluetooth and the same SD memory card slot and music features. The main draw to the Nokia C2 is obviously the dual-SIM functionality. 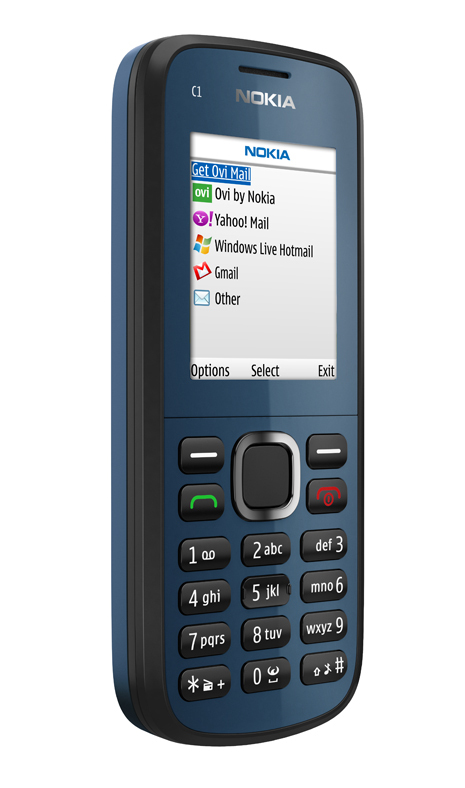 The Nokia C2 can keep both SIM cards active; meaning calls and text messages can come to either number while the phone is on. The first SIM card on the Nokia C2 sits underneath the battery. Nokia C2 will allow you to answer one call and keep the other on hold is great news. phone supporting micro-SD cards of up to 32GB. It seems now NOKIA will domainate Dual SIM Market too at least in INDIA. Nokia still is leading player in Market and I think this model make him tought plyer in Dual SIM segments too. I agree, Most of Indians love only Nokia brand only. Thanks for the information Arun. This is new for me. I love Nokia and it’s my favorite mobile brand which is user friendly. I used to buy mobiles from mobilestore.in. Last time due to my bad luck and pressure from one of the staffs in the store, I took Samsung wireless radio phone instead of Nokia Xpress Radio, which I was planning to buy and went there. They told Samsung is better than Nokia in battery life and this phone has lot of features plus dual speakers that give amazing sound effects. I fell in the canvas and bought it. But within two days I felt the difference. The receiving sound quality was bad and the radio reception also poor. Don’t buy samsung. It’s is bad one. I always recommend Nokia and Sony, but mostly Nokia. I love it. Also they didn’t replace the phone and I sold it as second hand phone. Lost my bucks. Anyway I finally took Nokia 1209, which is moreover good. Also there are some problems with Nokia too. I have the model Nokia 1202 as it has some software problems like hanging and auto switch off. But the rest are good. The main advantage of Nokia is its service is available every where when compared to other brands. Anyway thanks for providing information about this new models. Also I am excited with the model Nokia C1-02. Looks stylish. The price is also affordable. Nokia WINS…. Thanks for visiting my blog too Arun. We both have same names, Arun…….Take care and if you can, pls add me on orkut or facebook. You can get me there by clicking on the button that is available on the sidebar of my blog titled “Find Me On”. Take care and have a nice day. LOL! You post 296 words in this comment! It means your comment is equal to my post size 🙂 I sent a friend request in FB, but not in orkut because I’m not an active user on it. I added you in facebook. Best of Luck Arun. Hey, this is a great news. Nokia is entering in dual sim market. We now have one better option for dual sim handsets rather than using Chinese handsets. yes, most of indians are waiting for nokia dual sim handset..
Hi P.K.ARUN…..pls when precisely is Nokia lauching dis C2-00…i was almost purchasing a samsung B5722 today when i stumbled on dis info….i need 2 know wen precisely so i can plan 2 wait. As per the company announcement C2-00 may be available within July, August or September. I wanted to know if the C2 nokia hand set records the conversation between the two speakers and records the sounds from outside like a tape recorder would. This is important and it should be mentioned if the facilities are available in the set. sir pls confirm that, will nokia come in market with dual sim with advance features, like camera 3 mp. good video, 3g. torch light. pls shar, bcz i m waiting for buy this for a long time. Very nice cell phone in affordable price, thanks for information.